As a Biology student, you are expected to find and use high quality literature. You'll need to use a range of different sources and demonstrate your ability to find good results in order to impress your tutors and to develop your research skills. All journal titles are listed on YorSearch, and can be found by doing a title search. Click on the journal title to see the library’s print holdings or the View It link to navigate through to the full-text journal online, if available. Electronic access may be offered by more than one link (e.g. Royal Society of Chemistry or Elsevier SD Freedom Collection) so check which years are available. Biology books are located in the X section on the third floor of the JB Morrell Library. Many books will also be available online as e-books. Look for the links in YorSearch, under the View It section of each book. 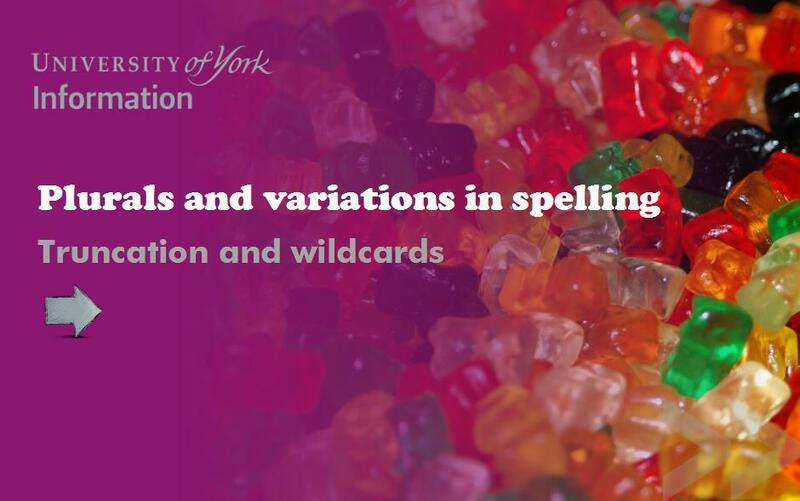 Examination papers for 2001, and 2004-2012 have been digitised and are available to University of York members via York Digital Library (YODL). You must log into YODL before you start searching. Note that we do not hold a comprehensive collection of all examination papers set, only those which have been released to the Library. 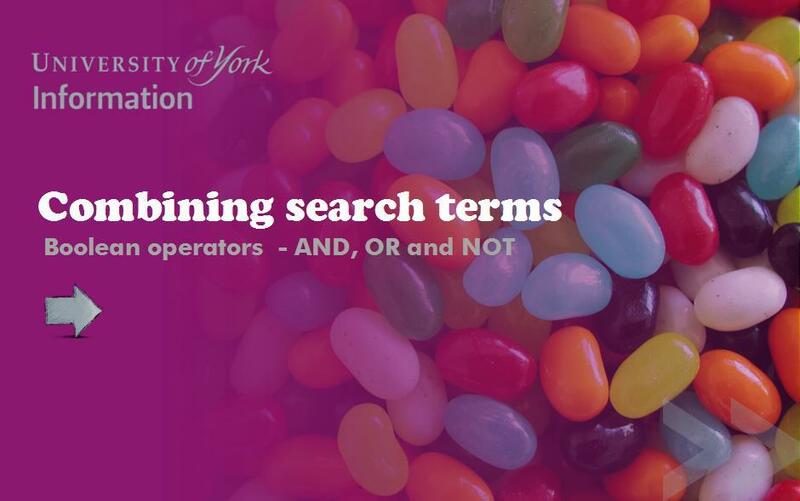 When you use a campus-networked PC, Google Scholar will automatically link to the University of York library catalogue and display articles where we have full-text access. When off campus, you will need to select University of York - Full Text @ York in the Settings option (under Library Links). Watch our Google Scholar video for more information. To get the most out of searching the databases you need to plan your search in advance and think about which keywords you are going to use. Use the tutorials on the right-hand side of the page to learn more about this. Over 29,000 life sciences protocols, most of which come from the book series Methods in Molecular Biology. Each protocol is a chapter of a book, and each book is a collection of protocols on a given research topic. Plus 21 additional books outside of any series. Gives access to the full text of all the titles in Collection One of the Colloquium Digital Library of Life Sciences. Titles are published in 5 series: Integrated Systems Physiology; Developmental Biology; Cell Biology of Medicine; The Developing Brain; Biotechnology. ChemSpider, from the Royal Society of Chemistry, is a free-to-access collection of compound data drawn from across the web. It aggregates chemical structures and their associated information into a single searchable repository and builds on the collected sources by adding additional properties, related information and links back to original data sources. - Organic chemistry and Life Science patents from US (since 1976), World and European (since 1978) patent publications. For help and support please contact Adrian Whitwood in the Chemistry Department. You must register to get access to SciFinder, please go to the SciFinder web page. Once you have registered you can log into SciFinder via the title link above. This link will give you access to SciFinder both on and off campus. You will need to log in using your York IT Services username and password and then your registered SciFinder Scholar username and password. Online access to the Chemical Abstracts Service databases from 1907 to the present. Clicking Find It @ York in a database will check YorSearch to see if we have a copy of what you've found. 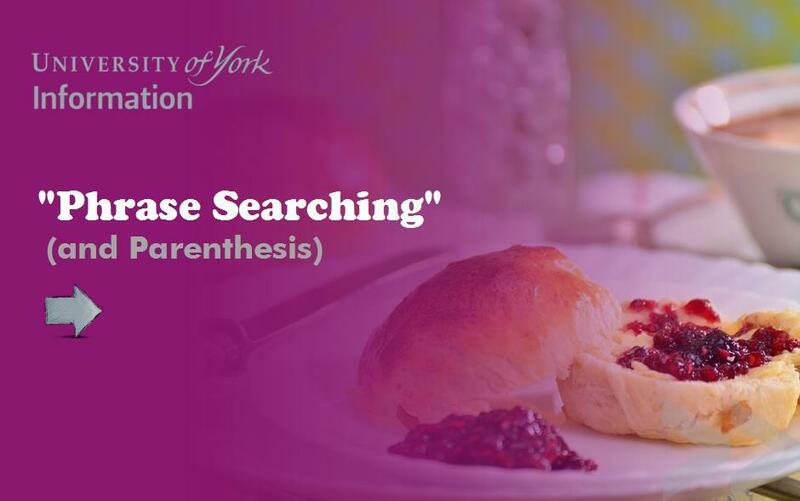 University of York PhD/MPhil theses and Masters dissertations, plus theses and dissertations from other institutions. BIOSCI is a set of electronic communication forums - the bionet USENET newsgroups and parallel e-mail lists - used by biological scientists worldwide. The Cell Image Library™ is a freely accessible, easy-to-search, public repository of reviewed and annotated images, videos, and animations of cells from a variety of organisms, showcasing cell architecture, intracellular functionalities, and both normal and abnormal processes. A collaborative learning space for Science students. It includes free resources on genetics and cell biology from Nature Publishing. Scitable also provides advice about effective science communication and career paths. Image gallery contains hundreds of micrographs of scientific, biological and medical subjects photographed with electron microscopes. Details current wildlife conversation methods. Kew Gardens in London is also a world leader in plant science and conservation, and maintains the Millennium Seed Bank. Database of key numbers in molecular biology, with references to relevant literature, comments and related numbers. A life sciences database system that presents an integrated view of DNA and protein sequence data along with associated MEDLINE entries. The Entrez sequence databases include the complete protein and nucleotide sequence data from GenBank, EMBL, DDBJ, PIR-International, PRF, Swiss-Prot, and PDB. Related to this is EMBnet Switzerland, information from the European Molecular Biology Network. Contains the NIH genetic sequence database, a collection of all known DNA sequences. A nonprofit medical research organization that employs hundreds of leading biomedical scientists. Information about MRC Institutes and Units, Interdisciplinary Research Centres, and on other UK Research Councils is also available. The National Network of Libraries of Medicine (NN/LM) provide access to biomedical and health care information resources. Includes WISDOM: Wellcome Information Service Databases On Medicine (Sources of Biomedical Research Funding; Science Policy Information News (SPIN); Information Service Catalogue; Biomedical Research Assistant Vacancies Database) and the Wellcome Institute for the History of Medicine Library. U.S. website. The NCI coordinates the National Cancer Program, which conducts and supports research, training, health information dissemination, and other programs with respect to the cause, diagnosis, prevention, and treatment of cancer, rehabilitation from cancer, and the continuing care of cancer patients and the families of cancer patients. Maintained by the University of Geneva. Dedicated to the analysis of protein and nucleic sequences with browsing facilities for a number of databases.